These are health and wellness products I have been taking for more than 15 years now. Being a hairstylist has many perks. I love chit chatting and playing with people's hair all day. Unfortunately being self-employed means I have no health benefits, no sick days, no holiday pay. If I don't work, I don't get paid and I just cannot afford to get sick. It became clear early in my career that I had to manage my own health. 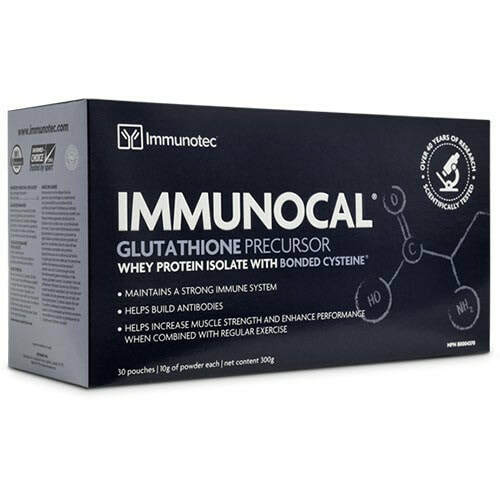 It was one of my salon guests that introduced me to the Immunotec products so many years ago and I have been a faithful consumer ever since. Each and every product does what it says it will. I love the fact that they are natural products but are firmly supported by the medical community. Immunotec is a Canadian company (yay!) and research for their flagship product Immunocal was done right at McGill university and Montreal hospital. Immunocal is one product I will never be without. 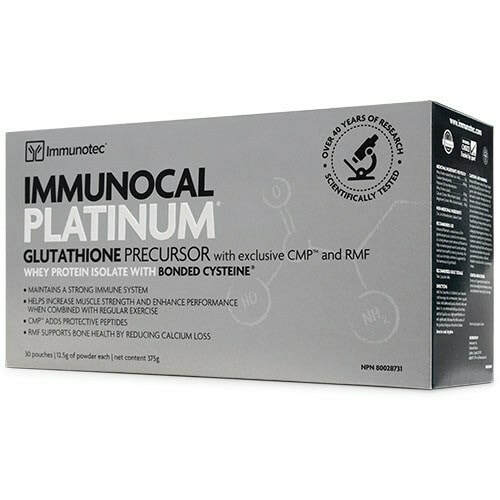 It is scientifically proven to help your body make its own Glutathione, for which every disease shows low levels. 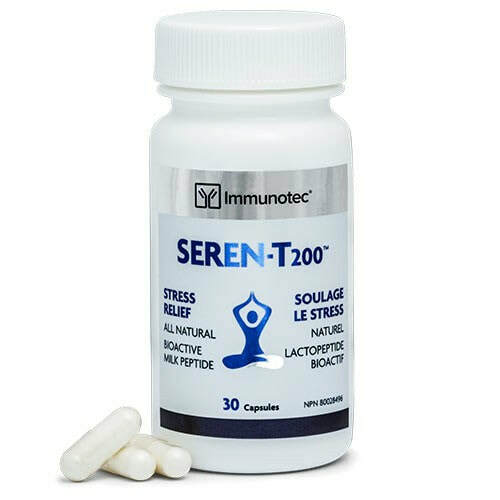 It keeps my immune system strong, detoxifies and acts as a master anti-oxidant. I have not been sick in years since taking this product! It is safe for children, pregnant & lactating women, the elderly and everyone in between. Immunocal Platinum: This is Immunocal 2.0. It has all the benefits of the original Immunocal plus it has more ingredients added to it to promote brain health, reduce inflammation, improve bone health, muscle mass and muscle function. It is recommended for people over the age of 40 and for athletes. ​Daily Essentials Pack: includes a Multi-vitamin (+ Resveratrol - the good stuff in red wine), Omega Gev V (5 powerful ingredients - one essential supplement), and Calcium (from milk) for optimal bone health. I take all 3 of these in the morning with my Immunocal. They help give me the energy I need to work long days and keep up with my busy life. Seren-T200: Anyone who knows me knows how stressful my life has been over the last couple of years! This product helped me keep calm and carry on. It is a bit like having a warm glass of milk before bed in that it helps reduce symptoms of mental and physical stress (including PMS)- all essential when your beauty sleep is threatened! As a bonus, this product helps reduce cortisol levels, which shrinks BELLY FAT! 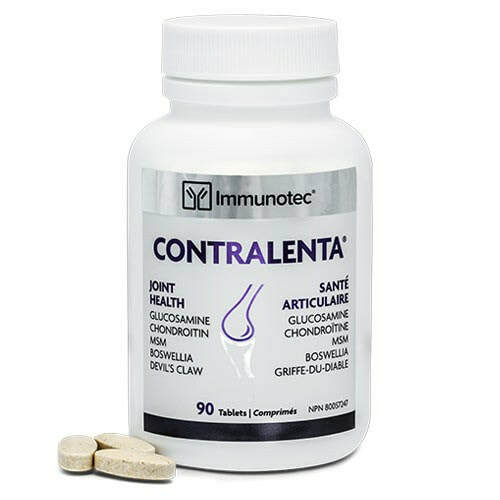 Contralenta: Anyone wanting to relieve joint pain that comes with osteoarthritis associated with wear and tear, or those who want to protect themselves against the deterioration of cartilage that comes along with overuse or aging, can take advantage of Contralenta. BJ has had great success with this product and I'm sure I will be taking it more regularly in the near future. Gotta keep moving! Cherry Juice Concentrate: Cherry juice is one of the best sources of natural melatonin - the same chemical that your brain makes to help you sleep. They are also one of the richest sources of antioxidants. This concentrate is amazing for arthritis and gout. Plus it tastes great. Take a spoonful or add it to your water for the day. You can even pour it over ice cream! Cranberry extract to help maintain a healthy urinary tract. 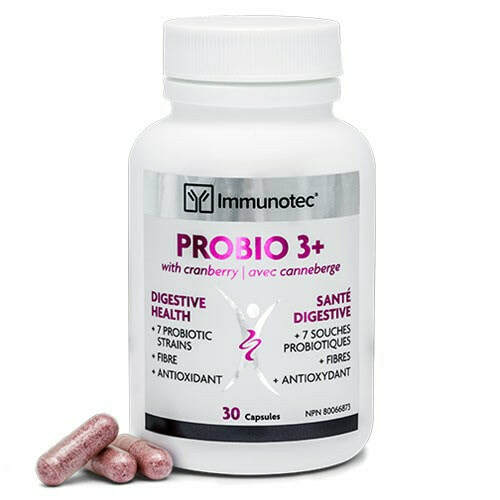 Anyone wanting to ensure a healthy digestive system will benefit from Immunotec's Probio 3+ with Cranberry. Trust me...this one is a life-saver! Xtra Sharp: ​is an exclusive blend of herbs and minerals to support and improve general well-being, energy and vitality. You can literally feel it working in minutes. It doesn't make you jittery but you can feel your mind clearing within a few minutes of taking it. I take it when I feel a migraine coming on and it stops it dead in its tracks. It's like Buckley's - it tastes awful but it works! Cogniva: helps temporarily improve cognitive performanceEnvironmental toxins, information overload, stress, and the aging process may all impact our brains, affecting memory, alertness, focus, and overall cognitive performance. 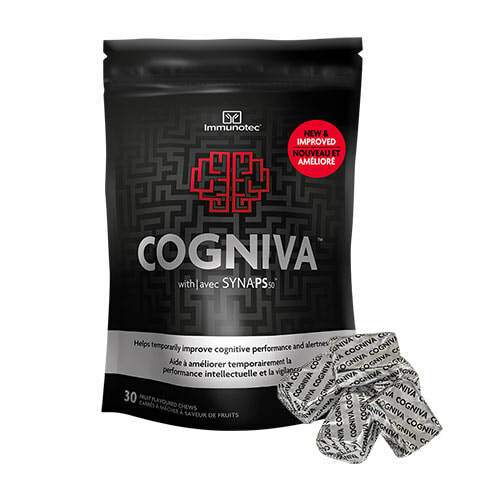 This is why you need COGNIVA, an innovative nootropic "smart chew" exclusively from Immunotec with SYNA-PS50, our proprietary blend of scientifically researched ingredients containing phosphatidylserine (PS). Cogniva is vegan, gluten-free, and contains no artificial sweeteners or preservatives. Magistral: This one is for the boys! You can ask Tim more about this one! The prostate gland plays an important role in both urinary function and sexual health (yay!). As men get older, their prostate keeps growing, resulting in uncomfortable symptoms. Studies indicate that 40% of men over the age of 40 have symptoms of prostate enlargement, and this number increases with age. Safe and natural, one of the effective ingredients in Immunotec's Magistral is the herb, saw palmetto which is used in herbal medicine to relieve the urologic symptoms associated with mild to moderate benign prostatic hyperplasia. Immunotec has always been in a class of its own. While some companies start with a few good people and a business idea looking for a product, Immunotec began as a product looking for a business to put it into the hands of millions who could benefit from it. Over forty years of research underlie its flagship product, Immunocal, and its ground breaking innovations have resulted in numerous patents in North America and around the world.